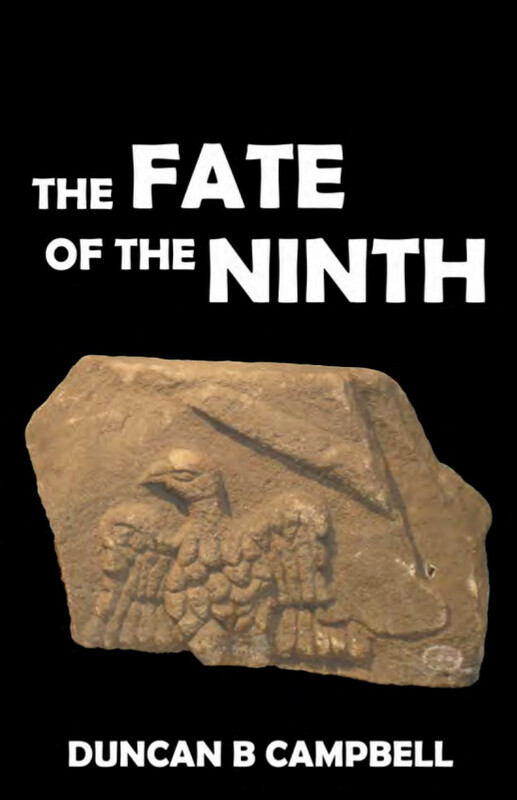 Duncan B. Campbell, the author of many fine books and articles on the Roman army, has published a new book on the mysterious fate of the 9th legion, which fades from the historical record with a building inscription at York dated 108, a scattering of stamped tiles at Nijmegen, and a series of officers who were promoted away from the legion in the middle of the second century CE. It certainly was not involved in the building of Hadrian’s Wall and the other construction projects in Britain after 122 CE. When only the inscriptions from York were known, this lead to a romantic theory that it had been destroyed by the Caledonians or the Brigantes which inspired one of Rosemary Sutcliffe’s novels. Campbell goes through the history of investigations into this legion, showing how excavations in the Netherlands and Egypt and painstaking work reconstructing the careers of Roman officials allow us to sketch the history of this legion after it left its station at York. This is a story about how scholars methodically build a history of the Roman army and the men who made it up, but also about how once they have committed to a theory, human beings fight to salvage it rather than ask whether a premise was incorrect. You can find a shorter, earlier version of his argument from Karwansaray Publishers and buy The Fate of the Ninth from Amazon. Trump claimed that Walls are a Medieval solution that worked. The border wall context would be more applicable to the Vallum Antonini and Vallum Aelium built in the UK, or the long walls in China that started centuries earlier. Trump can’t get his historical eras, or his border defence technology effectiveness, correct, but neither is surprising. For the last 30 years, a number of scholars like Benjamin Isaac who have looked hard at the Roman frontiers have argued that the basic purpose of the limes was to seize control of populations not to provide defence. So in Syria/Palestina/Arabia they would build forts overlooking all the major sources of water, and then the nomadic (and hard to tax and conscript) population would have to come by the fort and get shaken down every so often; in Britannia they built walls across the island so that people who were fed up with their rule could not just wander north and disappear. When the Normans threw up all those castles in Britain, it was to protect themselves from the angry English not to protect their not-so-loving subjects from anyone.